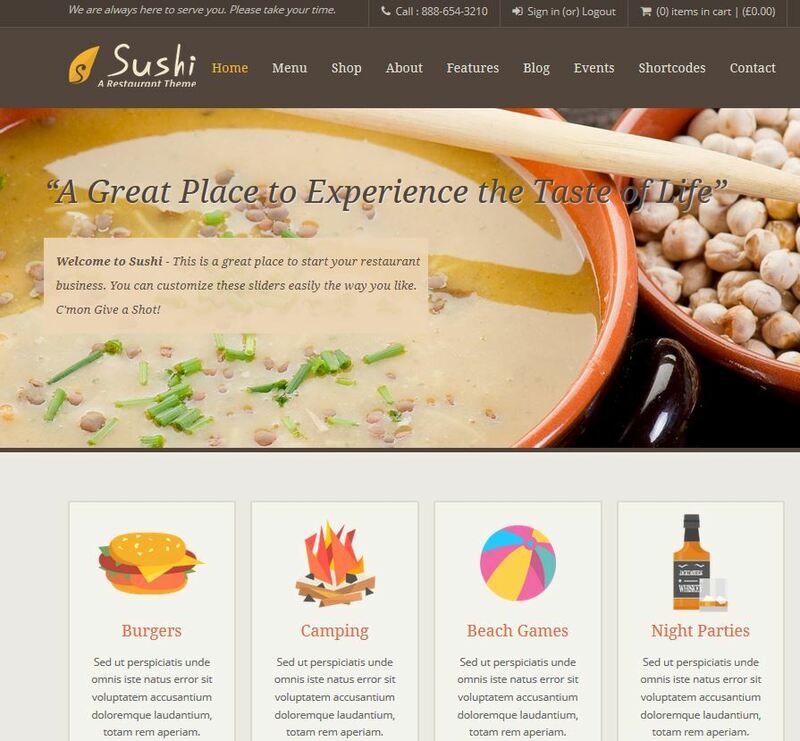 Sushi is designed specifically for food and restaurant businesses. Webmasters have the option to sell products on their site. The theme has 4 unique designs for menus. Revolution and Layer sliders are included. The Buddha panel is pretty simple to use and lets you customize your website without the need to do any coding. 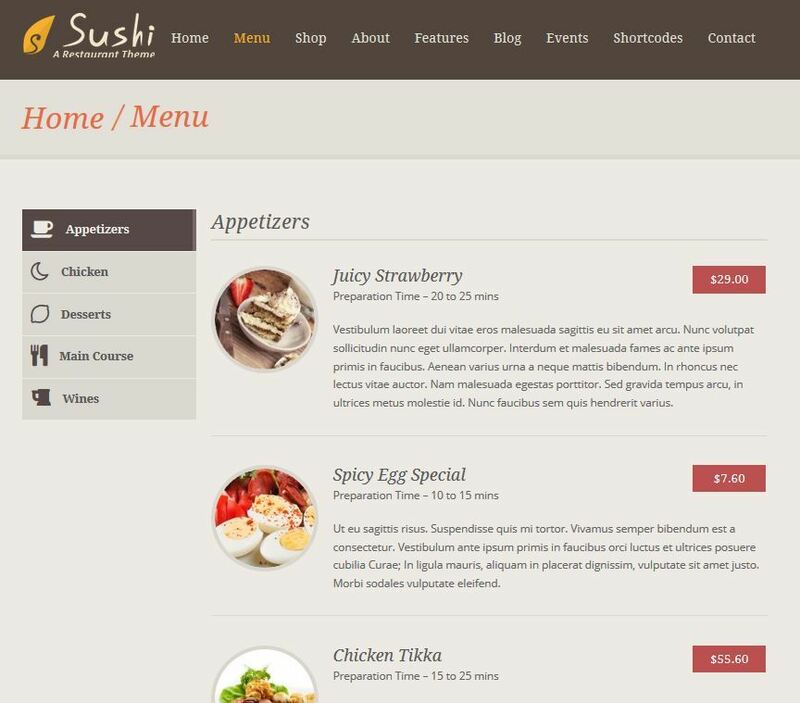 Sushi has 5 page templates and 5 custom widgets. It has a visual shortcode builder. It offers Mailchimp integration. You can take advantage of Event Calendar Pro to create and manage events. Overall, this seems like a nice choice for local restaurants and other small businesses involved in this industry.